Break out the beef jerky and red bull, a herd of bros is going to be stampeding to the theater this weekend! Two guaranteed sequels to fan-friendly, testosterone-packing franchises will be battling for king of the box office: The Hangover Part III vs. Fast & Furious 6. 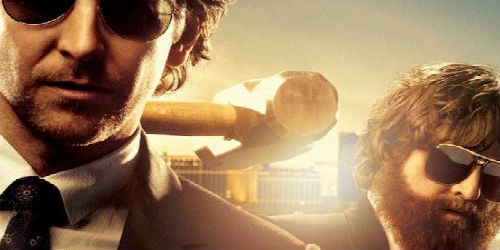 The Wolfpack is back for one final Sin City romp in Todd Phillip’s wildly successful trilogy. This installment finds Stu, Phil, Alan, and Doug on the road after the death of Alan’s father. They are hoping to find a cure for Alan’s obvious mental deficiencies. But their past comes baring its ugly teeth and the task of hitting the road with Alan is once again littered with difficult obstacles. All those guys who were in the other five installments (minus Tokyo Drift) of the gun-toting, wheel-screeching franchise are back for another dose of high-octane, neon-colored fun. If we’re being honest, the plot doesn’t really matter. All that we care about is the white-knuckle street racing, death-defying stunts, and hot people being badasses. The winner is…. Fast & Furious 6. I predict that the sixth installment of the franchise will reign supreme. Why? Some people are still trying to move on from the trauma caused by The Hangover Part II, while people responded well to Fast Five.